I've wanted to get myself a set of Sigma brushes for a while, but I kept putting it off. I knew I wanted a few, so instead of getting individual brushes I decided on the Complete Brush Kit without Brush Roll. I knew I didn't really need the brush roll, and the $20 or so I saved on that let me get the Sigma Dry n' Shape. My set of brushes came in an almost alarmingly small box, I mean between the brushes and the Dry n' Shape they really crammed a lot in there. 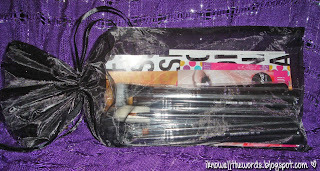 The brushes come in a black drawstring bag and each brush has a plastic cover. The majority of the covers had slipped off in the shipping process, but only one or two brushes had bent bristles so all was good. Along with the brushes, Sigma includes a very handy (and informational at that) brochure with a photo and description of every brush in the kit. 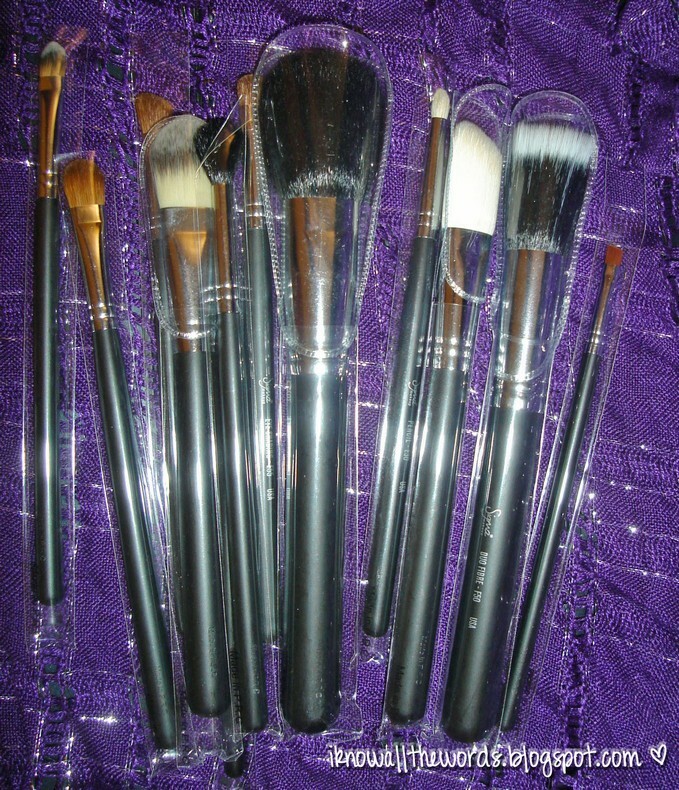 Although I already had brushes before I got this, I did wonder if I'd ever actually used the seven different eye brushes included. The brochure was a nice push to try different brushes out. I probably shouldn't have put this one first, as I must say this is one brush I'm not totally impressed with. Compared to the others it is not soft and it has shed since day one. Every time I use it a few more come out, which overtime will reduce how long this brush lasts. I prefer my Eco Tools brush to this one. However, it is a good powder brush. It picks up a nice amount of powder (without being too much) and blends well. I think this is my favourite brush out of the kit. It makes applying foundation super easy. 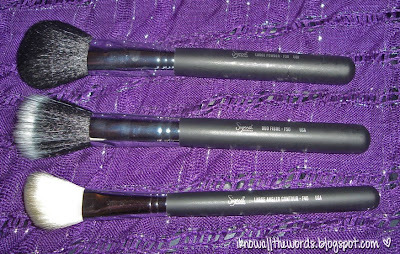 If you are using the ELF version of this brush (I was before) you need to get the Sigma F50. It is larger overall and the bristles are more dense. 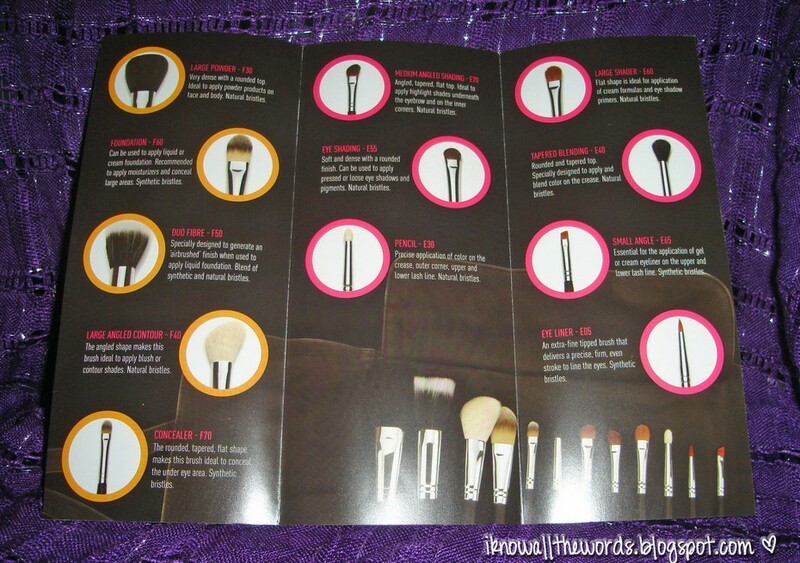 A must have brush. This brush is super soft, and great for applying bronzer and blush. I did find that it stained immediately after the fist use, so don't get used to it being white for too long. Mine is a pretty pink now. I usually don't use a foundation brush for my foundation, but for all of you lovely readers I tired this one out. I found I do like it for mousse foundations. This bush is great for quickly brushing on moisturizer or primer and works well to blend out large areas of concealer as well. This brush is super soft and quite dense. This brush is made of the same bristles the F30 is and I find it to be coarser than the other brushes with a tenancy to shed. 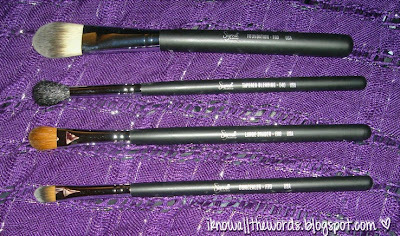 Sigma suggests using this brush to apply and blend the crease, but I find it too large for applying and only use it for blending and for applying powder over my under eye concealer. I use this brush every singe day to apply primer (either UDPP or Paint Pot) and it is a great brush. It is bigger than I expected (it is about the size of a thumbnail for reference.) This is also the perfect brush to apply cream eyeshadows and can pack on loose shadow with less fall out than a fluffy brush. This concealer brush is smaller than any concealer brush I've had or used, but I like the smaller size as it makes it perfect for under eye application. It flat and smooth and blends concealer out quite nicely. I find this brush to be longer (or less stubby) than other shading brushes I've used, but I like it none the less. It is super soft and picks up a nice amount of shadow. I like that I can (usually) easily apply and blend without having to switch out brushes. This was one of the brushes I thought I didn't need and definitely need the brochure to tell me what to do with it. I use it to apply highlight under my brows and the inner corner of my eye. This is another super soft brush that is slightly fluffy. This is a great little brush! It is flat and nicely dense. 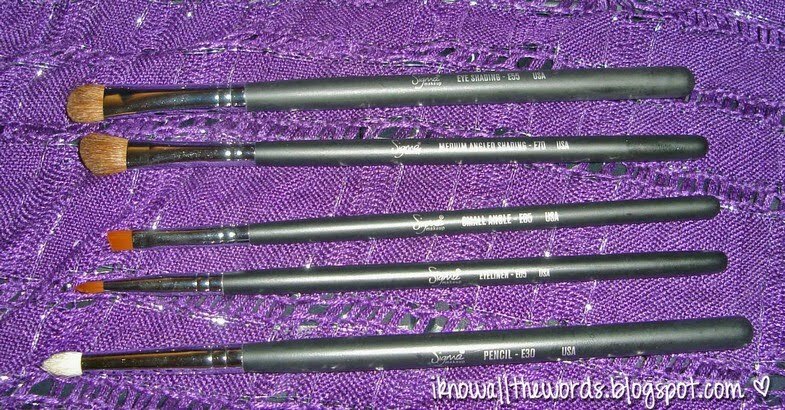 I mostly use it to fill in brows but it also works nicely for applying gel eyeliner. 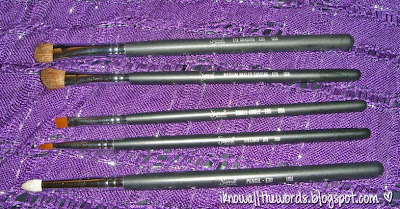 Pretty self explanatory with this one, great for eyeliner and or if you want super precise crease or outer v application. 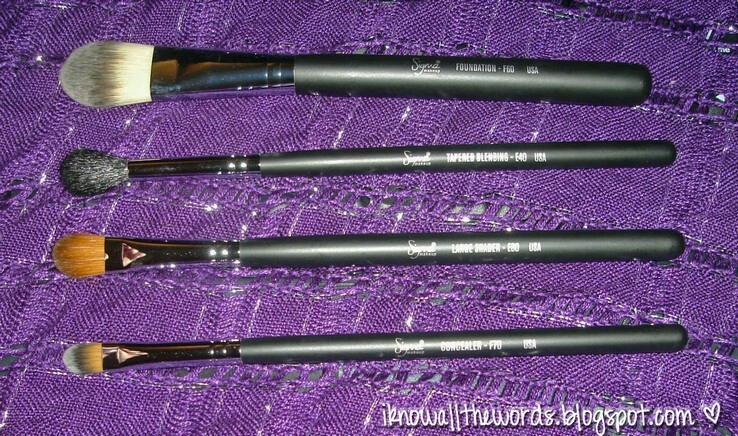 The tip is fine and the bristles are dense so you can get a very fine clean line easily. I think this is my favourite brush out of the eye brushes. It does so much and it does it well. 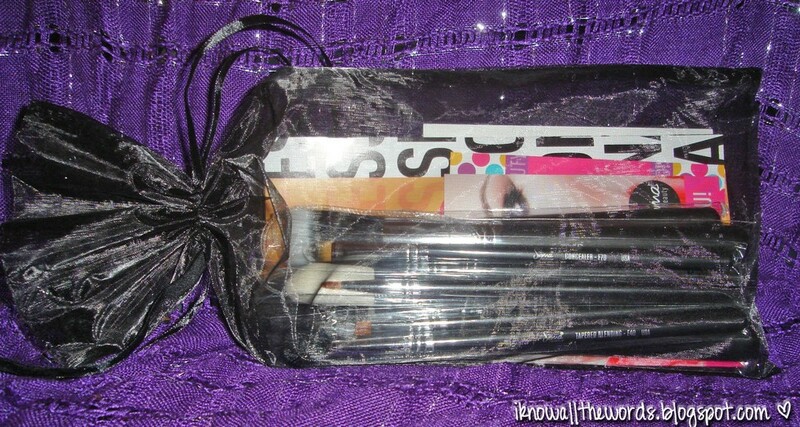 I use this to apply shadow to the crease, to smudge out eye liner and to smudge out eyeshadow over eye liner. This brush does stain, but the bristles are dense and chiseled to a rounded tip. The free gift from Sigma when you spend more than $30 is the travel sized Blending -E25. I haven't used this one yet, but it is similar to the E40 except it is softer and oval shaped with slightly tapered sides. It is super soft and on the fluffy side. 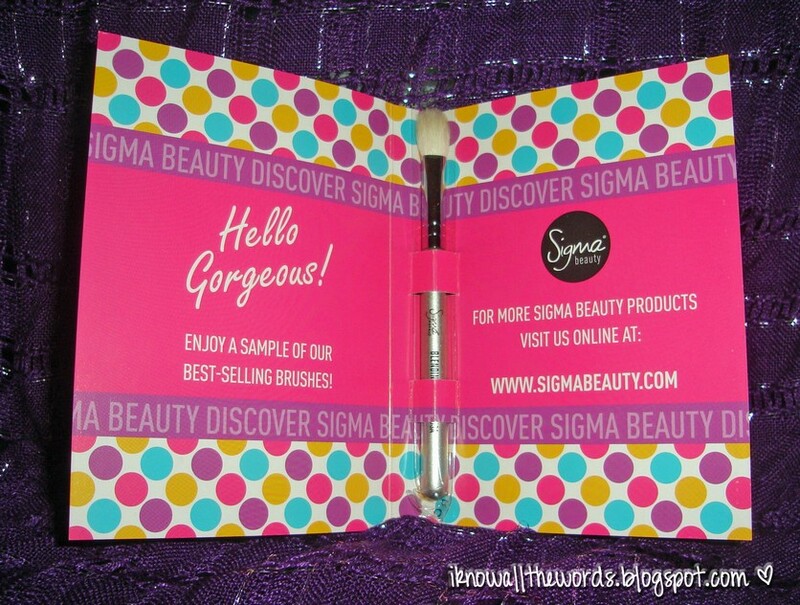 Have you tried Sigma brushes? Which ones are your favourite? The E25 is definitely very good. I only own a few MAC brushes, so Sigma was a good bet to try out and I am quite pleased with the ones that I have. They have shed here and there, and the big face one did leak colour a bit after the first few washings. All sigma brushes are amazing. Specially the F80 :D I love F80, it blends foundation so well. yeah, I noticed it bled a bit, but overall I'm really happy with my purchase. That brush looks great. I think the face kit with the F80,82,and 84 will be my next Sigma purchase.